Happy New Year!! Welcome to my first post for 2019, & to the ESAD, January 2019 Occasions, & Sale-A-Bration Catalogue, Blog Hop. Let me start by saying that these bright, bold & punchy cards make me smile. They also make for some, super quick & easy card making. To create these fun cards, I used the Happiness Blooms, Memories & More card pack, along with the pre-cut, pre-scored, Happiness Blooms, Memories & More card & envelope pack. Stampin’ Up! 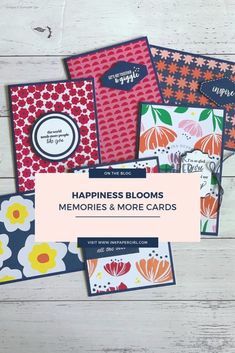 Happiness Blooms Memories & More, Masculine Cards with Katrina Duffell from Ink Paper Girl – please note that the “You’re So Awesome” sentiment comes from the Flowering Desert stamp set which is sold separately. Add some depth by using dimensionals under punched or die cut shapes, stickers & stamped sentiments. Add some extra pop, by stamping & heat embossing some sentiments, using Whisper White embossing powder. If like me, you love it when everything coordinates, make sure you get your hands on the Part of My Story stamp set. It’s a FREE, limited time only Sale-A-Bration stamp set. I used it to stamp both of the Night of Navy sentiments, as well as to stamp, & heat emboss the Whisper White sentiments onto some of the cards pictured above. 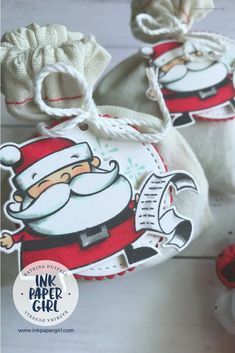 Top Tip: Sale-A-Bration (aka SAB) is the BEST time of year to indulge your love of Stampin’ Up! products. From January 3rd to March 31st, you can take advantage of amazing joining deals, &/or receive your choice of exclusive FREE stamp sets, dies*, designer series paper & more when you place an order of $90 (AUD) or more with Stampin’ Up!…. Want more free stuff? The good news is you can!! For every extra $90 spent in one order, you can choose an additional FREE reward…so now is the time to check your basics, & add some additional adhesives, cardstock or some new paper snips (hands down the best scissors I’ve ever used!!) to your next order to make sure you get the most bang for your buck from Sale-A-Bration!! *In order to receive the Tea Time framelits dies you’ll need to place a single order of $180 or more before postage. Now I’ve left my most favourite thing about these cards until last…Want to know what it is? It’s that there’s a perfectly balanced, even spread of both feminine & masculine designs, patterns, & sentiments with these cards. So if like me, you struggle to make a masculine card, then you’re going to LOVE the Happiness Blooms Memories & More card pack. You can find the Happiness Blooms Memories & More card pack, along with the coordinating card & envelope pack on page 26 of the new Occasions Catalogue. If you haven’t seen it or the new Sale-A-Bration catalogue yet, you can view the online PDF version’s by clicking on each of the image’s below. There are SO MANY awesome goodies in the new catalogues, that I know you’re going to find something that you love inside. Don’t forget that if you’ve got any questions, or would just like to make me smile, please leave me a comment in the comments section below. I love all of these, Katrina! The M&M cards make creating so easy, and they are some great tips for stepping it up. Thanks for sharing! I love that we can make beautiful cards with these M&M cards. I loved those cards and envelopes when we used them in our make n take at On Stage, and you have shown them off beautifully. I love the extra tips you have given to step the cards up too! A lovely set of cards , very inspiring Katrina ! Great, simple but effective cards Katrina. I love how you can step them up too and that they are suitable for males and females. Love what you have done with the Memories and More cards, Katrina. 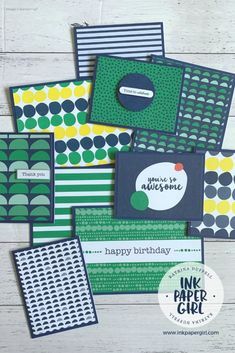 It’s amazing how many cards for all occasions you can create with just one pack. Great tips for stepping them up as well! Such a great set of cards, made with an awesome set of products. Well done Katrina.